The United States agrees with the assessment of the North Stream 2 project as a "political", but not an economic, and promises to help Kyiv block its implementation. 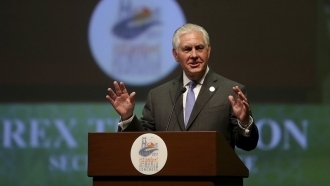 The United States claim the inadmissibility of the North Stream 2 project implementation in connection with its political character, Ukrainian President Petro Poroshenko said after a conference with US Secretary of State Rex Tillerson, as cited by Interfax-Ukraine. “Especially I want to thank for our cooperation in the energy field. Its very important section is the prevention of the construction of a political project North Stream-2. And I am very grateful to our American partners for a very clear, effective and consistent position in preventing the implementation of this deeply politicized project," he said. 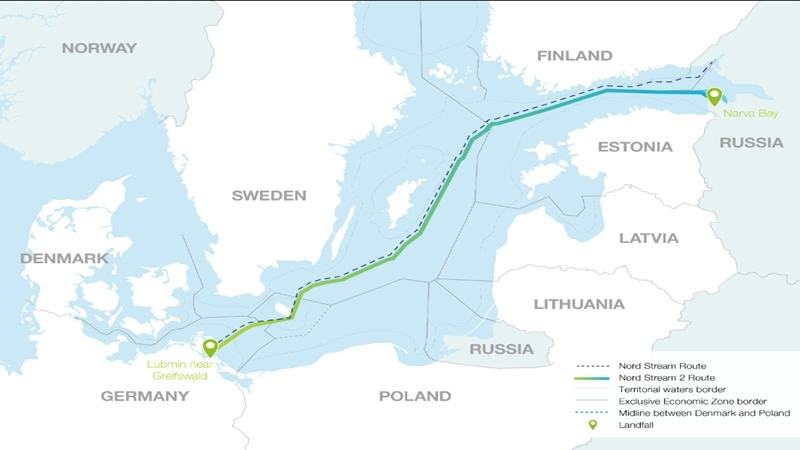 Reference: "North stream-2" is the project of a gas pipeline, which will allow to deliver gas from the Russian Federation to Germany along the bottom of the Baltic Sea bypassing the transit countries. Earlier, Petro Poroshenko called the construction of the North Flow-2 Russia's vengeance to Ukraine and the attempt "to deprive Ukraine of the two billion dollars it receives for transit."